Grey’s Anatomy—the secret juggernaut of TV—will keep on chugging with its central romantic pair intact. 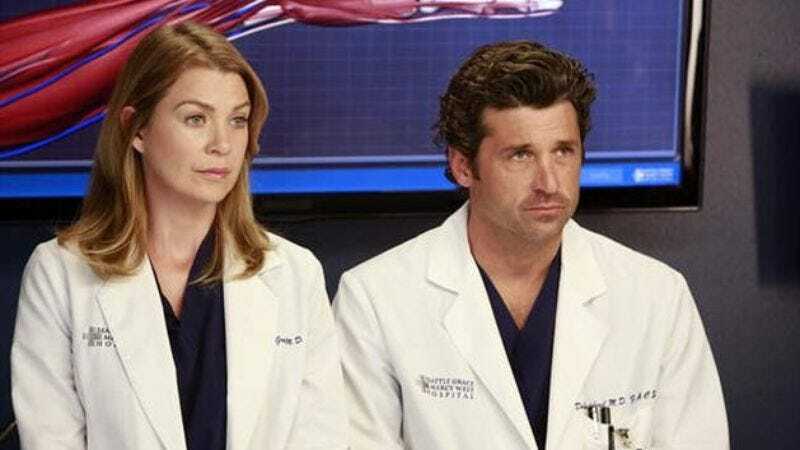 According to Deadline, stars Ellen Pompeo and Patrick Dempsey have signed new two-year contracts to return to the ABC medical drama, meaning the show’s 11th season renewal is all but guaranteed. It’s a bit of a change from last summer when Dempsey hinted his departure might be imminent, explaining, “Work on a TV show doesn’t change. In a race, it changes constantly, every lap, every corner, every moment of that day.” Since that time, however, Dempsey seems to have realized that hey, maybe pretending to be a doctor actually is a little less grueling than driving around a circular track. While the show’s current 10th season is the last for Sandra Oh, producers still have to focus on re-signing remaining original cast members Justin Chambers, James Pickens Jr., and Chandra Wilson. But if things go south, creator Shonda Rhimes can always write them out through a plane crash, crazed gunman, bomb, or electrocution—just some of the increasingly bizarre accidents that have killed off Grey’s characters in the past.